Come enjoy 1,000 acres of historic West Texas. Camp Barkeley’s scenic beauty and our clean, comfortable accommodations will create the perfect setting for your personal gathering or corporate event. Our Retreat Center is fully furnished with three bedrooms: a luxury king room with master suite and prayer closet, a queen room, and two double rooms with shared bathrooms. 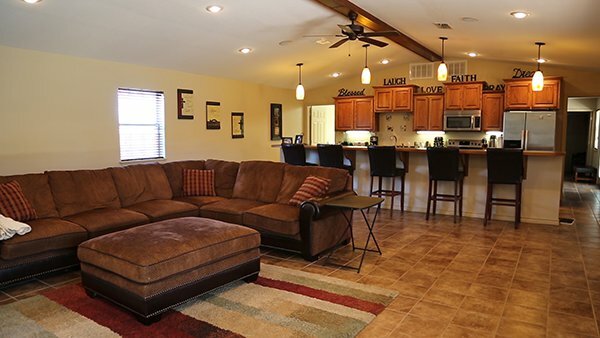 There is a fully equipped kitchen, laundry facilities, and a lovely open style living and dining area. This facility can sleep up to eight people, and host 50 plus people for day activities. Check in is 4pm, with noon departure the next day. What to Bring: Our kitchen is fully equipped, however you will need to supply your own food. Bedding and towels are supplied, however please bring your own toiletries. 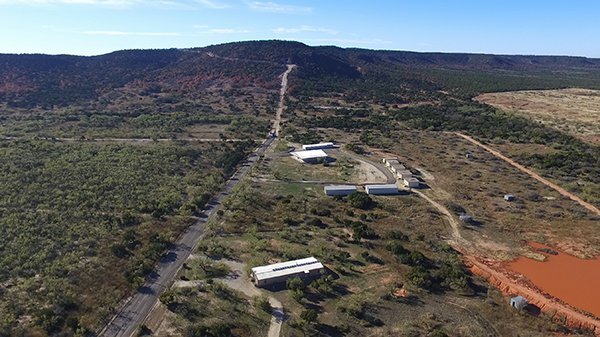 Our Community Center includes the Iris Abilene Camp Barkeley Worship Center (seating for 300), Mess Hall with full kitchen facilities (seating for 150), and dormitory bunked housing with kitchenette and full bath amenities. We have 6 large dorms (accommodating 12 people in each) and 4 small dorms (accommodating 6 people in each). 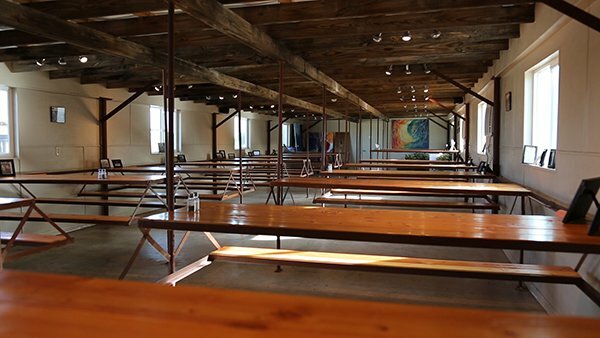 The Camp Barkeley Community Center can sleep a total of 96 people. What to Bring: Bedding (including sheets, blankets and pillows), toiletries and towels for dorms. For scholarship information (to use our facilities at a reduced cost), please contact us or fill out the online application.